What if I told you I found a cloth diaper designed by aerospace engineers? What if I told you they are dads? 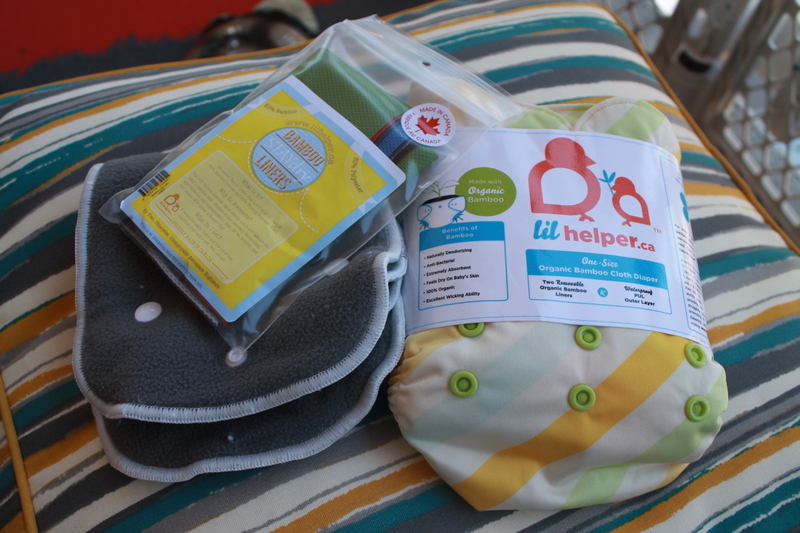 Lil Helper is a Canadian cloth diaper company that was created by university friends Mohammed and Nader. I came across Lil Helper on my search for new cloth diaper options for Edith. I was looking for something that would fit her petite figure, works well for overnight and (hopefully) doesn’t leak, that’s when I found Lil Helper. I took a chance and contacted Mohammed and Nader (of course not until after reading this <–bloggers read this) and after a short wait I finally heard back. 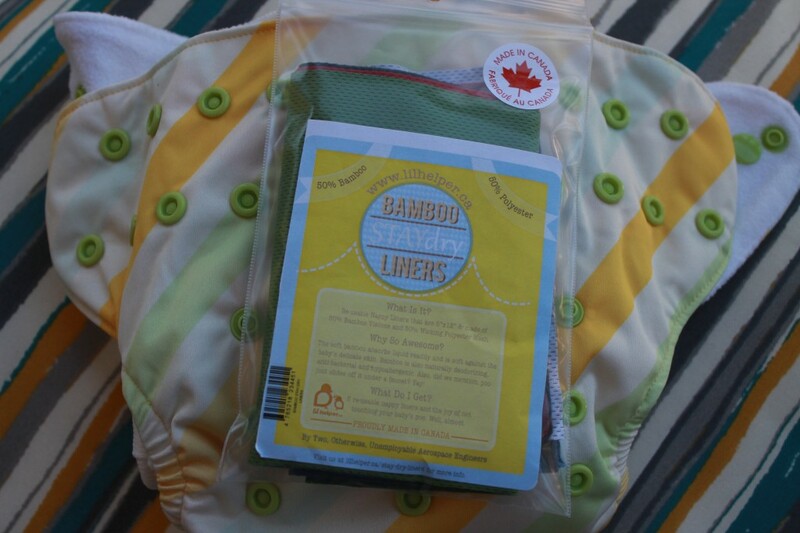 A few days later I received a package with one organic bamboo cloth diaper, one charcoal liner and a package of bamboo stay dry liners. I immediately prepped the diaper and it has been in our rotation ever since. The adjustable snaps make it possible to customize the diaper to fit Edith’s little bum perfectly. It fits comfortably around her waist and sung around the leg to prevent leaking. 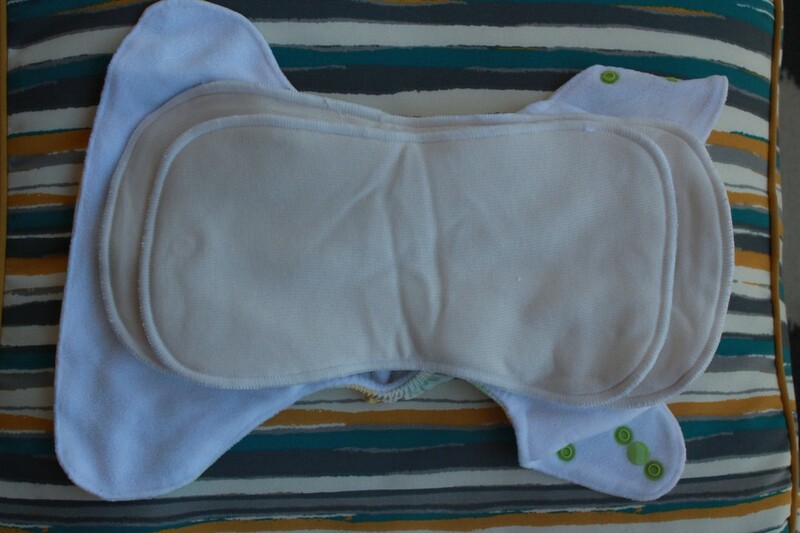 We use the organic bamboo insert during the day and honestly it’s so soft I wish I had pillows made out of it. At night we use the charcoal bamboo insert because it can hold upwards of 180 ml (about 6oz) of moisture and still feels dry. If your child is a super soaker, which Edith has her nights, there is also an overnight insert which I am still debating about buying. We also have a set of bamboo stay dry liners but honestly I have been too lazy to really use them. Edith also seems to have taken a liking to them and I am finding them all over the house in random places, just yesterday I found one in her toy bin. Anyways when I do use them they have been super useful when the dreaded poo arrives. Instead of having poo sticking to the diaper the liner catches it and then it falls right off into the toilet. Now that I am writing this I have an urge to go find all the lost liners and use them more regularly! Overall we are a fan. I wish that I had the means to fund the purchase of many more however I don’t BUT if we decide to have #2 then this diaper is high on my list to purchase more of. Until then however we will enjoy having this one and purchasing it as gifts for new cloth diapering friends of ours (when our friends finally decide to get on the baby making train). Have you ever tried Lil Helper? What do you look for in a cloth diaper?